Dale Irby is not just any teacher. He is possibly the greatest teacher of all time. What did he do to earn such a title you may ask? Well we are not referring to his un-wavering dedication to his students such as the likes of Antonio Banderas character in the movie Take The Lead. No, we are talking greatness on a scale not seen since the infamous “Cafeteria Dance Off ” teacher of 2012. Upon discovering he accidentally wore the exact same outfit two years running for his school staff photo, Irby decided to utilize this mistake and become a national hero. 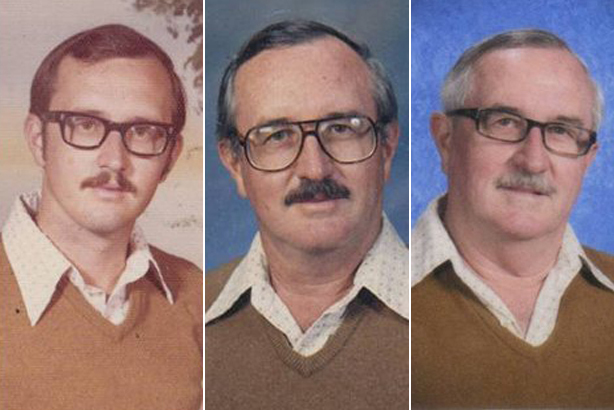 Hailing from Dallas, Texas, Mr. Irby has worn the exact same polyester shirt and vest for his staff yearbook photo for the past 40 years. Even his amazing 7o’s style mustache has remained almost untouched. Now, while a bit of an extreme example, Mr Irby does present a curious argument for the ‘personal uniform‘. While we are all for the freedom to express yourself through what you wear, it can be agreed that too much choice can, at times, become overwhelming. Especially for the big and tall men, it is not unusual to find yourself in a outfit rut, where the same tried and true ensemble is reused and rotated on a weekly basis. We however put forward the question, Whats wrong with that? There is something to be said for a man who has a uniform. 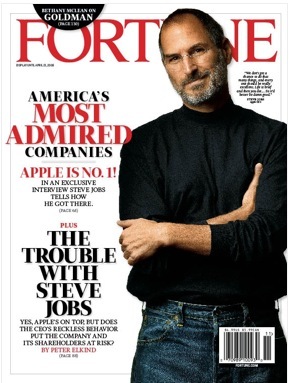 It worked for Batman, Super man and even the late Steve Jobs created an iconic image of himself forever etched in the minds of millions, never without his black turtleneck sweater and blue jeans. These men are examples of power, consistency and in the some cases, world salvation and we may be wrong, but we don’t remember anyone stopping them to question their attire? With new social media revolution leading a new wave of peacockery, the idea of not having to create a new and outlandish outfit for their 34 Instagram followers every day might even appeal to some of the younger generation. Now we are not suggesting the world goes home tonight and decide what their personal black turtleneck and levis will be, but perhaps there is some merit in the case for the simplicity and having one less decision to make of a morning. As for our new idol Mr Irby, well he sadly retired this year, but he will forever stand as a style icon for years to come.